There are many super-popular resort-like destinations all over the world. These places are famous for their natural as well as man-made beauty; and are visited by tourists throughout the year. It is seen that, most of the luxury condominiums are located in these places, due to high demand from investors and end-users. These cities and metropolis’s have cosmopolitan culture and people from all over the world come here, and easily get alone with one another. People, who look for residences, both temporary and permanent, prefer these luxury condominiums, which are located in some of the most desirable places, such as the ocean, lakes, golf courses or downtown Miami. The beach front locations serve as the most ideal location for the construction of luxury condominiums. It is because the beaches are not only naturally beautiful, but also offer an exciting, joyous and at the same time very peaceful lifestyle, which naturally attract people and makes them want to stay there indefinitely. The luxury condominium Jade Ocean is located on the most glamorous beach in Miami, the Sunny Isles Beach. One of the most reputable real estate company in Miami – One Sotheby’s International Realty is offering an opportunity to invest in one of the most sought after properties – the fabulous condos of Jade Ocean for sale. 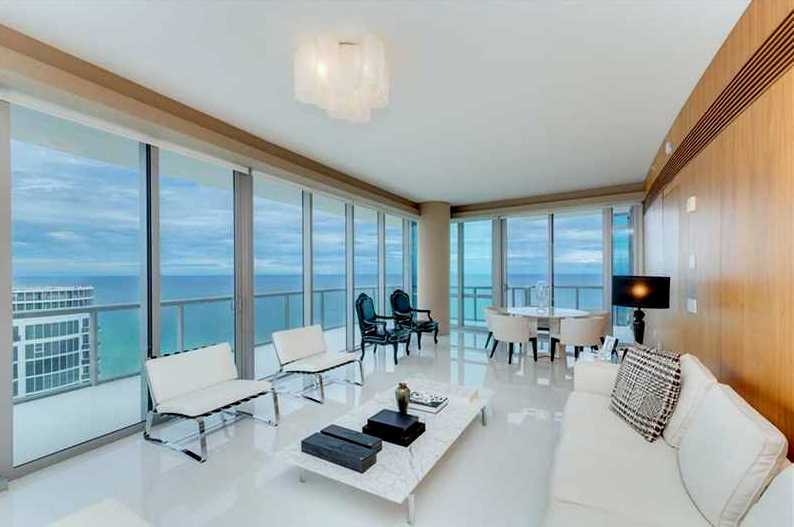 It is one of the most magnificent and desirable condominiums in the Sunny Isles Beach area, and its palatial structure and spectacular appearance attract the attention of the onlookers. This monumental tower is designed by the famous architect Carlos Ott. The lifestyle in this condominium is extraordinary and regal, and the residents get to enjoy a life, fit for a king. The units in this condominium are large and richly designed and decorated that ideally suit the polished, urban lifestyle. All the important places in Miami and the surrounding areas are easily reachable from this location, and thus, the residents remain close to the beach as well as the bustling city life. The amenities and residential facilities that this condominium offers are simply outstanding and can certainly impress any kind of buyer. The features include – a private beach club with a café and cabanas, a lavishly decorated three-storey lobby at the entrance, infinity-edge pools, round the clock concierge, valet and security services, splash deck for the kids to enjoy, large terraces, well-equipped fitness center and gym, community and business centers, laundry facilities, and many more. The amenities that the units offer are – smart home technology, spacious balconies for the residents to sit and relax, floor to ceiling glass windows; imported faucets, glass-enclosed walk-in showers, whirlpool bathtubs in the bathrooms; granite countertops with stainless steel backsplashes, Sub-Zero appliances, imported cabinetry in the kitchens; large walk-in closets to keep clothes and accessories, washer and dryer, and many more. Buying a unit in this condominium is a profitable investment for the future, as the location of the property is very desirable and the price is going to increase in the near future. Please contact One Sotheby’s International Realty’s office at (305) 336-0457 to schedule private tour of the complex.